Ships today if you order in the next 14 hours 7 minutes. 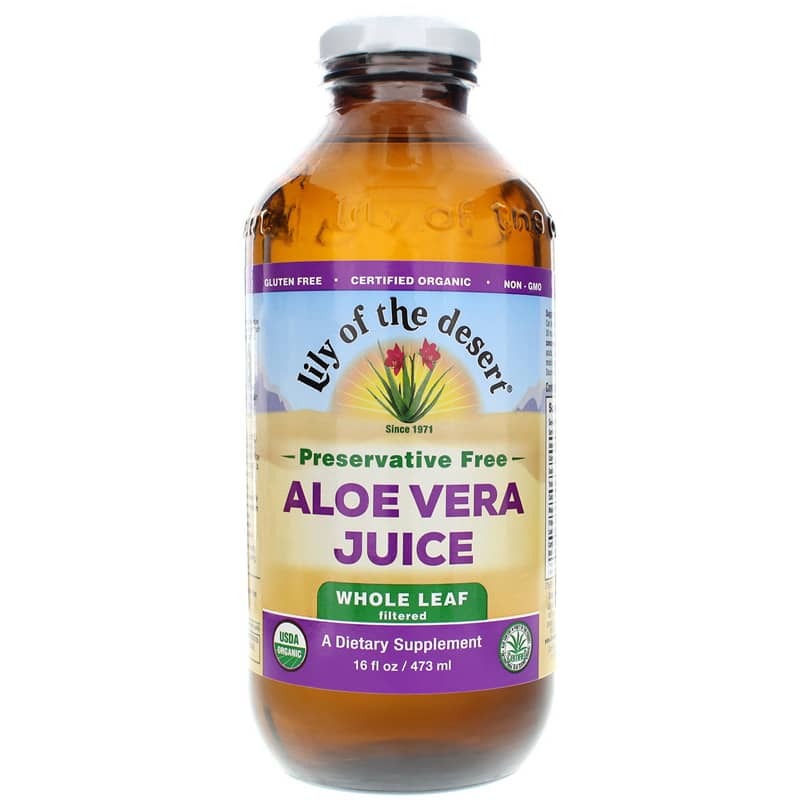 Preservative Free Aloe Vera Juice Whole Leaf from Lily of the Desert is a USDA Organic, GMO-free, Vegan aloe that meets the highest quality standards. There are over 200 biologically-active components like vitamins, enzymes, amino acids and polysaccharides that are naturally found in aloe vera and offer overall great health benefits. These benefits include: maintaining healthy digestion and regularity; antioxidant and immune health support, as well as improved nutrient absorption. 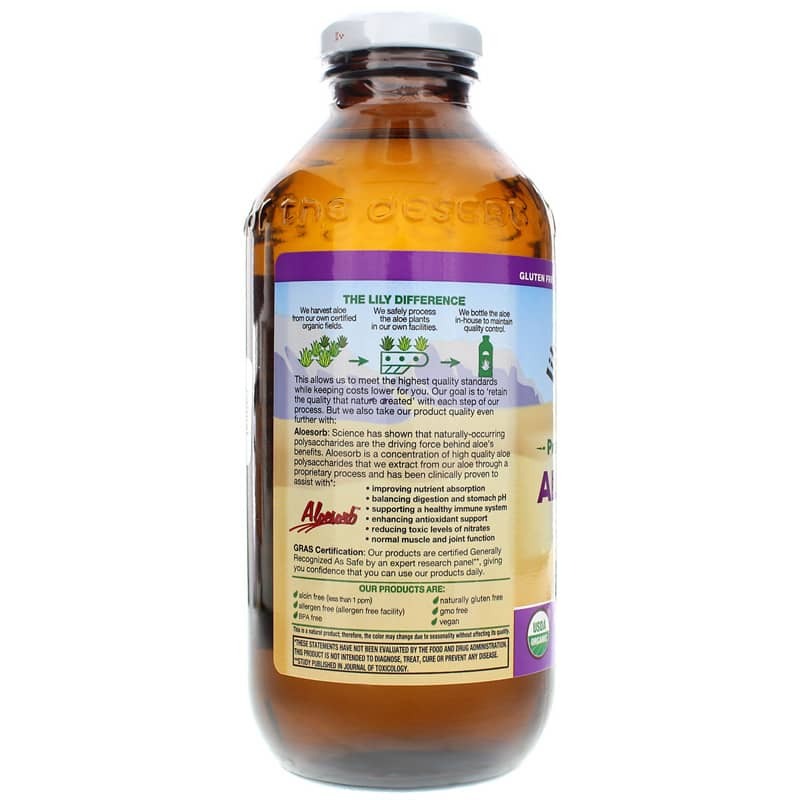 The addition of Aloesorb in Lily of the Desert's brand of aloe vera juices maximizes the efficacy of those benefits. Contains NO: gluten, GMOs. Certified Organic. Kosher. Vegan. 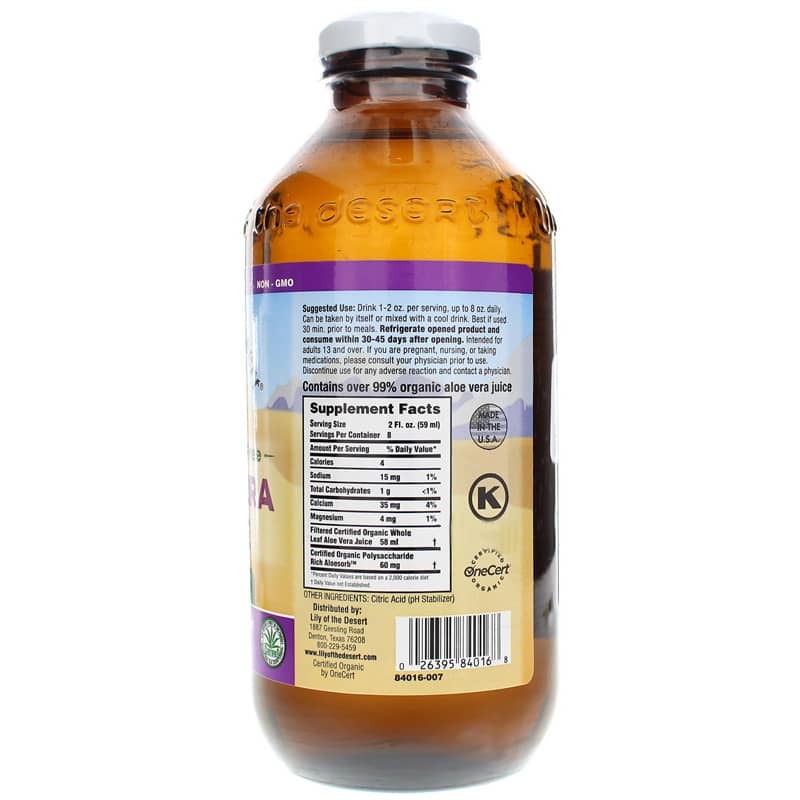 Adults 13 and over: Drink 1-2 ounces per serving, up to 8 ounces daily. Can be taken by itself or mixed with a cool drink. Best if used 30 minutes prior to meals. Refrigerate opened product and consume within 30-45 days of opening. If you are pregnant, nursing, taking medications or have a medical condition, please consult your physician before use. Keep out of the reach of children. Discontinue use for any adverse reaction and contact a physician. Great aloe juice - no preservatives or other additives! This is a good aloe juice. It's good for your digestion and many other things. I take it if I don't eat right and might have a little burning in my throat. It's soothing and it tastes fine all by itself, but you can add it to an alkaline juice if you want. I drink it straight up! So far so awesome! Love it. Will order again.